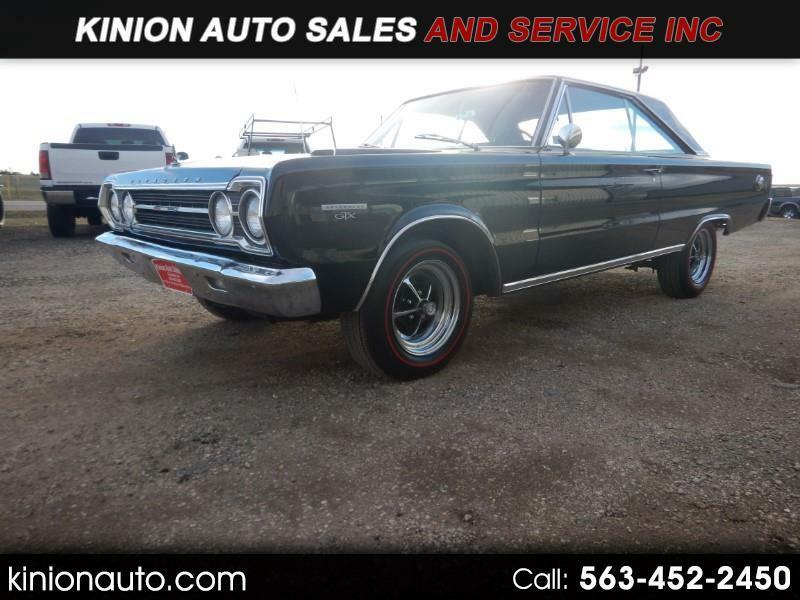 Used 1967 Plymouth GTX for Sale in Clarence IA 52216 Kinion Auto Sales and Serivce Inc.
440, 4-Speed, Only 42K Original Miles. Magnum 500 Wheels Wrapped With Coker Red Line Tires. This Car is Like a Time Capsule!! Message: Thought you might be interested in this 1967 Plymouth GTX.